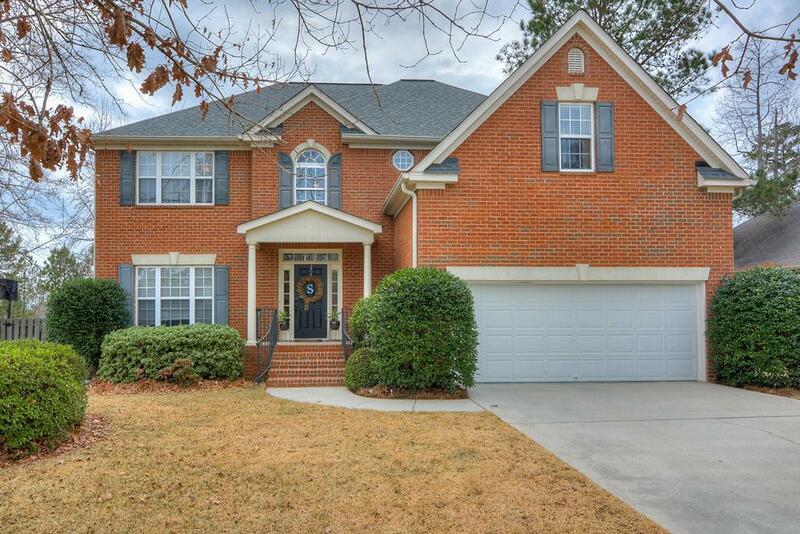 Wonderful all brick home in popular Riverwood Plantation! NEW HVAC System & Roof only two years old! Eat-in kitchen with granite counters, center island, tile backsplash, glass cabinet accents and stainless steel appliances. Hardwood floors in formal living and dining, kitchen, foyer and breakfast area. Spacious living room with built-in cabinet and gas fireplace. Owner suite up with private bath featuring double vanities, jetted garden tub & separate shower. Laundry and all baths with tile floors. Privacy fenced yard with rear deck and paver patio backs up to greenspace.